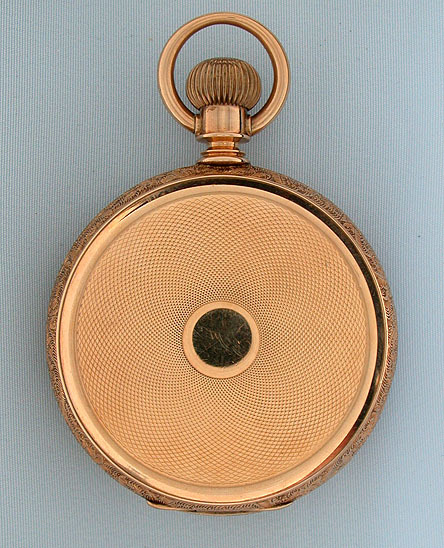 Fine Swiss 14K gold hunting case 20 jewel antique pocket watch circa 1900. Substantial engine turned case with fancy band. 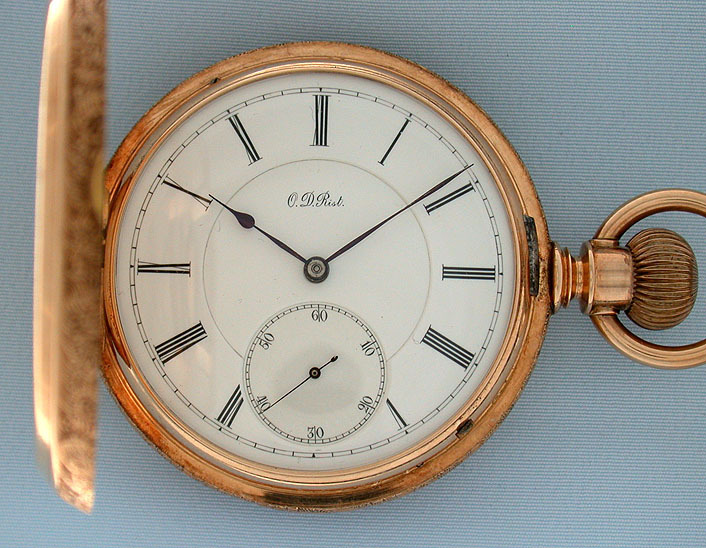 Double sunk white enamel dial with blued steel hands. 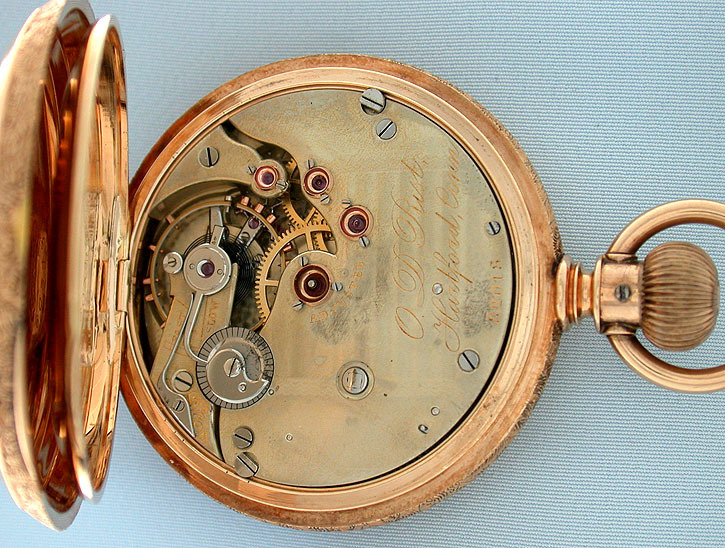 Nickel 20 jewel movement with screwed gold jewel settings and precision regulator.